The format of the comp will be simple. 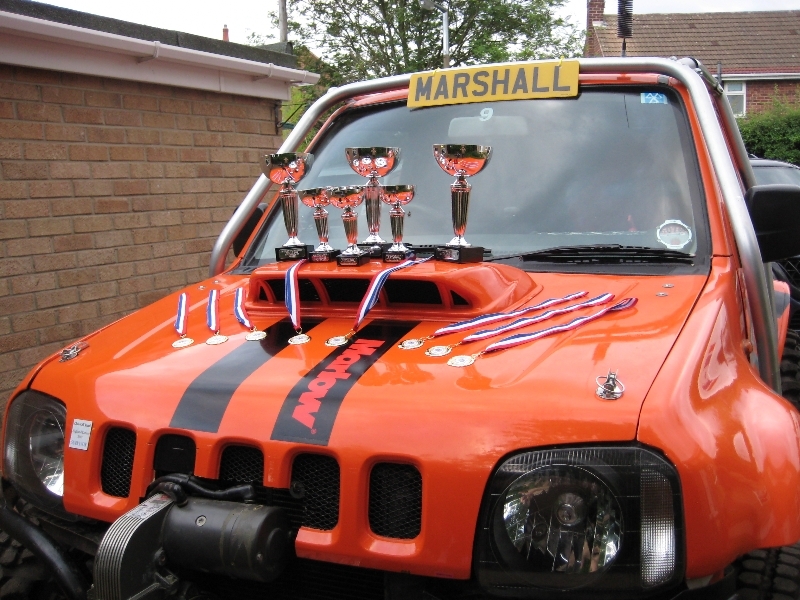 You turn up in what ever you want and we will put you in a suitable class.Each class as a chance to win a trophy and there will be a prize for the most outstanding team weather they win a trophy or not. There will punches out on site 30 in all with diffrent grades of diffculty. You will receive a punch card that as coloured numbers on it. Each colour refers to the difficulty of the punch. E.g Red = very difficult. Green= easy. 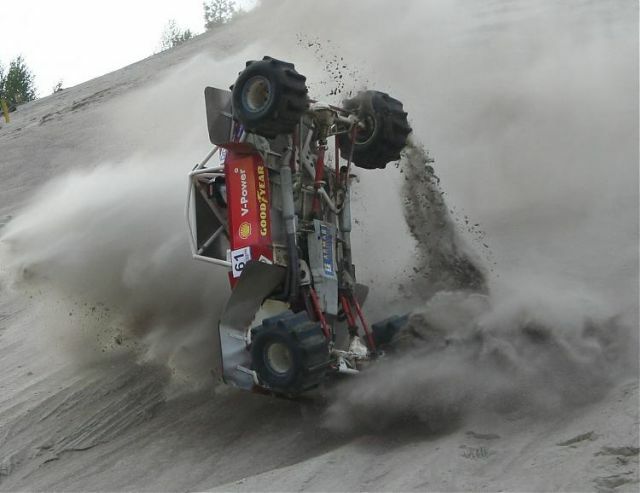 There will be at least three special stages that all vehicles can do. Steve LLoyd may also set up a couple of stages as well but that is yet to be confirmed. The emphases will be on fun and good sportsmanship. We will be at shottle for the weekend, but Saturday the marshalls and orginizers will be the only ones allowed on site for setting out and Sunday the 15th for the challenge. SEE YOU THERE …………IF YOU DARE ???? Hi guys, take a look at the trophies and medals for shottle. If you want to take 1 of these beauties home, you gotta work for it!! These should be in the club, so make it happen!! 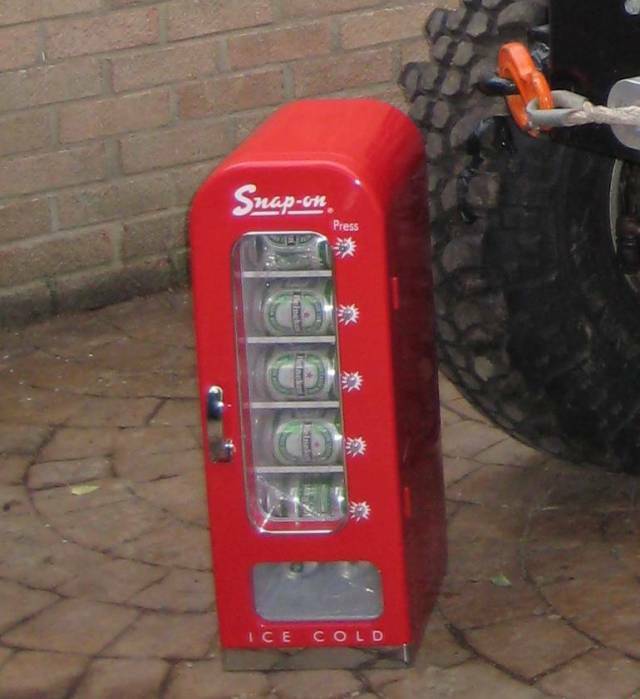 The team that shows the best ‘team spirit’ as judged by the event officials on the day will also win this genuine ‘Snap On’ beer fridge, (courtesy of Brian Machin from Stoke), complete with ice cold beer of course! GOOD LUCK TO YOU ALL, AND HAVE A GOOD FUN EVENT!! Biggin SA4000153 2 1 go!!!!!!! !